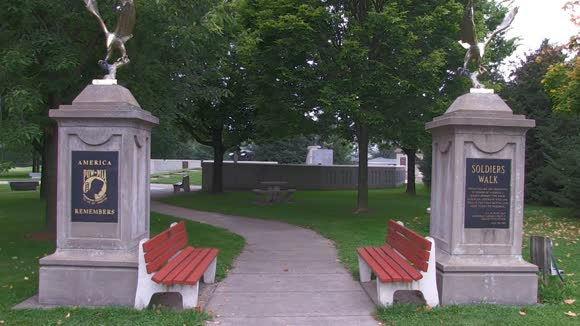 As you enter the park from the Soldiers Walk Memorial Park's Visitor Center, you will pass through two statues that honor our POW's, Prisoners of war and MIA's...Missing in action. Of the 16 million Americans who served in World War II, more than 400,000 died during the war. 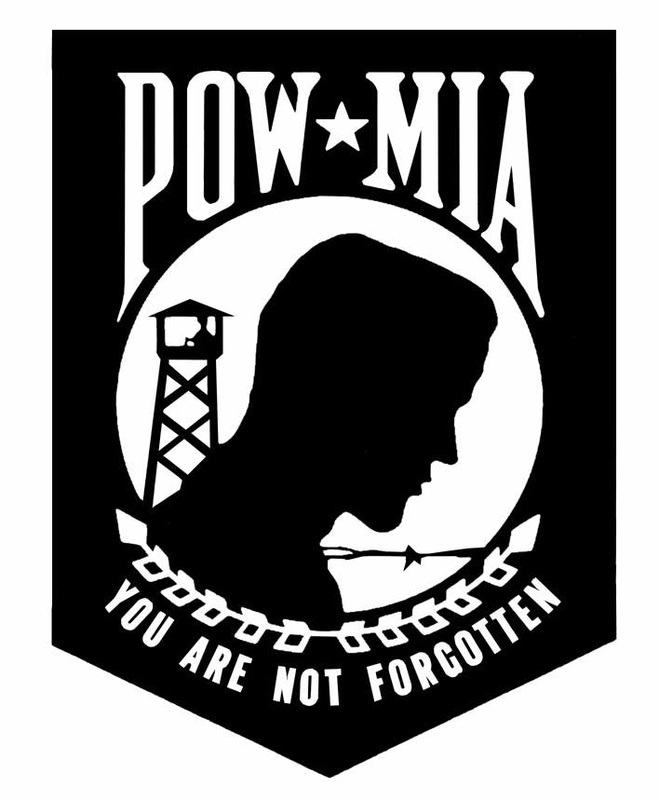 At the end of the war, there were approximately 79,000 Americans unaccounted for. This number included those buried with honor as unknowns, officially buried at sea, lost at sea, and missing in action. Today, more than 73,000 of those lost Americans remain totally unaccounted for from WWII. More than 7,800 Americans remain unaccounted-for from the Korean War. Since 1973, the remains of more than 1,000 Americans killed in the Vietnam War have been identified and returned to their families for burial with full military honors. Today, more than 1,600 Americans remain unaccounted for from the conflict. In addition to the thousands of service members who fought communist forces during wars in Korea, Vietnam, and other conflicts, many service members risked their lives off of the battlefield while collecting intelligence on the Soviet Bloc, the People's Republic of China, and North Korea during the Cold War. The sacrifice made by these Americans enabled the U.S. and our allies to contain the threat of communist expansion until the collapse of the Soviet Union in 1991 when the Soviet hammer and sickle flag lowered for the last time over the Kremlin, thereafter replaced by the Russian tricolor. Today, 126 service members remain unaccounted for from the Cold War.